darren wilson. 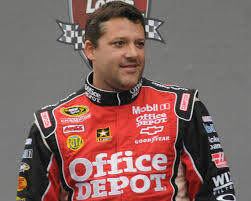 tony stewart. both men have been on my mind this week and not just because i’m in the badlands. both men are in the news and have had their lives destroyed by events that took place within just a few minutes. i don’t think either of them are bad men but they will always be known for their bad act. 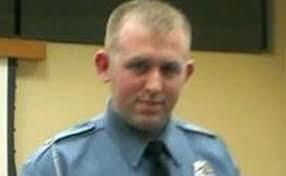 by all accounts, darren wilson was a perfectly ordinary suburban cop with nary a disciplinary action taken against him. he encountered michael brown on a ferguson street and within minutes he had shot michael dead. rioting, outrage, and possible murder and federal civil rights charges against him. tony stewart ran over and killed racer kevin hart as hart walked out onto the track to confront stewart. prior to this incident, stewart was known as an aggressive driver but offtrack was considered a teddy bear. i feel sorry for both men because both will always be thought of as murderers. they played by the rules most of their lives, well, at least aside from the few minutes of crazytown. wilson is in hiding with his family. even if he escapes legal consequences, he’s going to have a permanent crimp in his neck from looking over his shoulder. tony hasn’t raced since the accident and lives for the moment in seclusion. i can’t imagine him ever having the focus and courage to drive again. let’Das say you are a professional in a position of trust–like, say, a lawyer or investment advisor–and let’s say you use your client’s money as if it were your personal checking account. do it once, okay, that’s troubling. do it twice, whoa there! 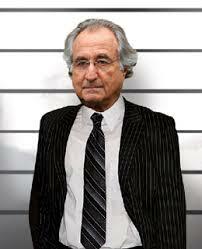 do it three times and we get to call you bernie madoff! This entry was posted on Tuesday, August 19th, 2014 at 9:45 pm	and tagged with bad acts, bad decisions, bernie madoff, breaches of fiduciary duties, darren wilson, michael brown, tony stewart and posted in Uncategorized. You can follow any responses to this entry through the RSS 2.0 feed. « packed to be home! hey, bill! i’m zeroing in on mount rushmore. jeez, this is a HUGE country! I had no idea these events happened so close together. I guess because we didn’t here about the Michael Brown shooting until the protests started. it was great seeing you last week! I’ve got a proposition for you…. I’d like to work with you on a project,..
sounds great! what are you thinking of? Ten minute play(s) and a short biography about a local civil activist possible FBF…. When can I get together and share more details? where are you geographically? i’m in! I’m in Evanston. Are you still somewhere on the North Shore? sorry i’m on the road for the moment but sometime in midseptember. email me at my address and let’s figure it out. i’m at apresser@hotmail.com bestest, arlynn and ps brunch sounds lovely to this chick who is just leaving base camp to climb the sulphur mountain. i could use a good eggs benedict! Touch base when you get back..
I’m on the North Shore still, are you ? Let’s do brunch. Are you free today?